Our best 3.5x2" clear plastic business card printing for consulting company will make your customer want to keep your plastic business card with them forever. We print clear plastic business cards at affordable prices without compromising over quality. With a custom design service facility provided for our customers, Printing Xpert customers can make their own plastic card online. We offer effective clear transparent 3.50x2" clear plastic business cards printing for law office to convey a professional image to your clients. We promise our customers to give the very best price, and we are also famous as custom real estate yard sign manufacturers. Dealing with us could save you money and time. 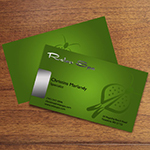 See-through business card will leave a strong impression on customers. We design and print Clear Plastic Busines Cards. See through Plastic Business Cards are bendable, waterproof and sturdy. Our customers can also choose a plastic card template, designed by our expert team. We are also famous for printing business letterheads at an affordable price. Order a complete package for your business startup with or 3.50x2" clear plastic business cards printing for tax office and while you get those, also add our professional 8.5x11" business letterhead printing for tax office. We use full color printing one front but the back remain blank to give a clear and transparent look. We use 20pt thickness Clear material for Plastic Business Card Printing. We use 1/4 round corners for clear plastic business cards. We use 1/8 round corners for clear plastic business cards. See Through Plastic Cards are a great way to put your business in the lead. They offer thousands of practical and promotional applications within a huge market. Printing Xpert is able to offer Plastic card at super affordable prices. See Through Plastic Cards are very durable. 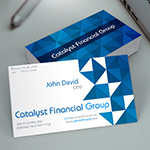 Clear Plastic business cards can help you stand out by changing both the visual and tactile experience. They also tend to be thicker, and of course, waterproof! The best way is to market through plastic business cards. The shiny surface of the cards amazes the customer. Check out our see through plastic card printing and customized coroplast menu board printing . Our customers can order clear plastic business cards online today and we will start the process to make your new, quality clear plastic business card. With our many years of experience in blank business card manufacturing, we have developed a procedure that keeps you in full control of your plastic discount card order. We have the latest technology in machines, which work better and quicker than others. We are the leading company in low cost clear plastic cards printing. We offer excellent service and great value for your money, with a personal approach. Our extensive range of goods and services adds that extra special touch. Long lasting printed plastic card services offers you and your company a new avenue to market your business as well as providing an improvement on existing marketing plans. You can help increase the chances of your potential clients keeping your plastic cards at hand. 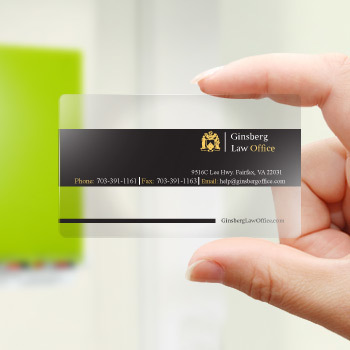 Clear Plastic Cards give your brand lasting power and have a wide range of uses as business cards. Our cards feature vivid high quality four color printing on durable plastic stock. 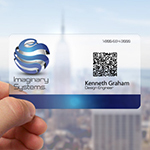 We are a great plastic card manufacturers at a low cost. However we offer you any sort of guarantee. Amazing quality! woderful designing and best price! Online ordering process is very easy and quick! and they came out really good! good job. What plastic material are these business cards made with? 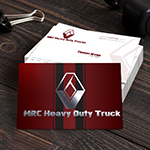 These business cards aremade with 20pt gloss material which makes it more durable. 4/0 = Full Color on front only, back remain blank to give a clear and transparent look. Material : We offer 20pt gloss material which is the best way to go. It is more durable and likely to last. It is a slightly thicker plastic, and helps produce vibrant colors, and images on this plastic appear sharp and retain their details, colors. Select Radius of Corners Rounded 1/4Rounded 1/8"
Product: Plastic Business card, 3.50" X 2"